Boy with Down syndrome. 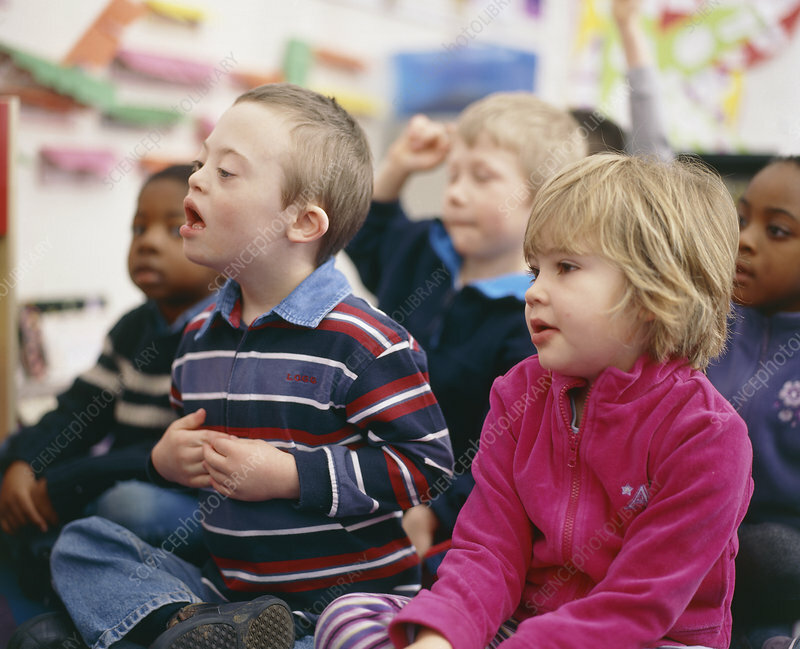 Six-year-old boy with Down's syndrome (centre left), with fellow pupils at a mainstream school. Down's syndrome is a chromosomal abnormality resulting in mental handicap and a characteristic physical appearance. The genetic defect concerns chromosome number 21, as there are three of these chromosomes instead of the normal two. For this reason the disorder is also called trisomy 21. The main physical features are slanted eyes, a flat nose on a round head and abnormalities of the palms of the hands and the soles of the feet. Children with Down's syndrome have an I.Q. of between 30 and 80.